MIGNONNE: Saturday Spring Renewal Sale! First of a series of Saturday Sales, all welcoming in Spring! Today, 11:30 - 7:00 PM, at Mignonne! Stop by and enjoy a refreshment served in Vintage Glassware. Mignonne's vintage glassware can't be beat and it is a great, inexpensive way to add a new touch for Spring décor. FURNITURE is 20% off as well as other selected items. We've told you the magic that Johnelle can make with vintage furniture pieces. Well, if you have a project piece lingering around the house that you just haven't been able to conquer ... bring it down today for a free consultation. Johnelle will make it bloom again, just in time for spring. 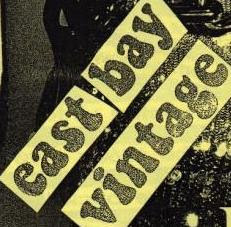 Special guest, East Bay Vintage, was such a hit they'll be back as well! Amazing vintage clothing finds at super prices. Hand picked and high quality, you'd better get here early because the pieces fly off the rack!